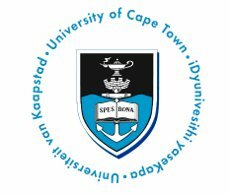 The University of Cape Town is committed to providing a broad based financial assistance programme as outlined in this website, However we understand that, for the 2014 academic year, the National Student Financial Aid Scheme (NSFAS) intends to introduce a Central Application System which may impact on the financial assistance policies we have outlined. While we are unable at this stage to pinpoint the impact this may have, we do guarantee that no student/applicant who qualifies for Aid will pay more than the expected family contribution we have determined. Thus, depending on your family circumstances, you may well be eligible to attend UCT for as little as R1 000 total contribution. For many decades UCT has been providing financial assistance to assist financially disadvantaged students to study at UCT. UCT runs two financial assistance programmes, 1) financial aid package and 2) GAP funding. The University is committed to providing assistance to a broad category of financially disadvantaged students and families. The University allocates significant funds annually to financial assistance programmes to meet this commitment. With the support of our valued donors and the National Student Financial Aid Scheme (NSFAS – governments loan scheme) we strive to provide the best financial assistance programmes possible. UCT provides guaranteed minimum set bursaries of R20 000 or R35 000 to students that meet the financial aid eligibilty and conditions, and up to 50% course fees bursaries for students eligible for the GAP funding programme. In addition special concession is made for students with siblings at UCT. The financial aid application process may change during the course of 2013 due to the introduction of the National Student Financial Aid Scheme (NSFAS) Central Application Process. If, by the time this change happens, you have already submitted your financial aid form, you will not be required to apply again. The manner in which we assess your eligibility will not be affected. However, the funding you receive may be revised based on the NSFAS system. For more information and application details, visit the UCT website.